I’m going to start this review off by saying the Venture Paragon splitboard for 2018 does not ride like a traditional Venture Snowboard and I mean that in the nicest of ways. What the Paragon offers is a freestyle friendly directional shape that rides more like a ripping twin stick. 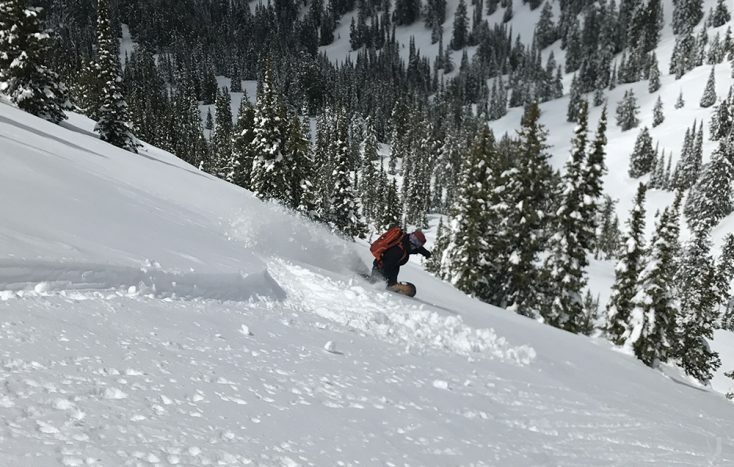 Venture Snowboards based in Silverton, Colorado made a return to the shred industry in 2017 after taking a year off from making boards. Snowboarders in Colorado and big mountain riders around the country have been eagerly awaiting the latest batch of boards from Venture so when the Paragon arrived I was stoked to see something that looked a little lighter and a little more nimble than some of the past hard charging models. Hands down the best splitboard we tested this year in terms of touring. You might be thinking say what? 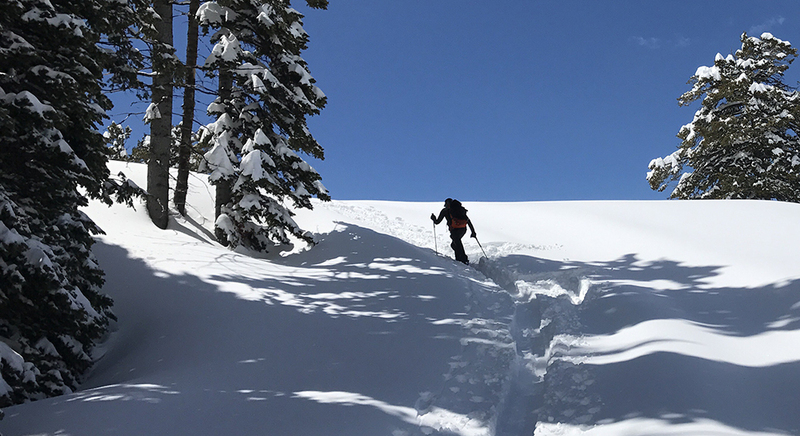 What sets the Paragon apart from just about every single other splitboard on the market, or so its seems is the thoughtfulness that went into the design process from the start of the tour to the descent and everything in between. Lisa and Klem (owners/founders) are splitboarders first, business owners second and this shows in these boards. I can’t really talk about waist widths or the taper design for that matter as all I care about when testing a splitboard is how does it feel under foot on the way up and how fun is the board on the way down. Everything else, including top sheet graphics seems to be a marketing piece the industry is all about promoting these days. Venture offers a flex rating of 1-11 on their boards. The Paragon splitboard for 2018 is rated as a 6 thanks to a healthy dose of Colorado Aspen wood in the core. This makes the board incredibly lively and responsive. Plus the wood was sourced less than 100 miles away from Venture factory, talk about sustainability. This is the sort of board you would feel confident jumping out of a heli with, sessioning a backcountry booter or going on super long tours. Just about everything about this board is perfect. 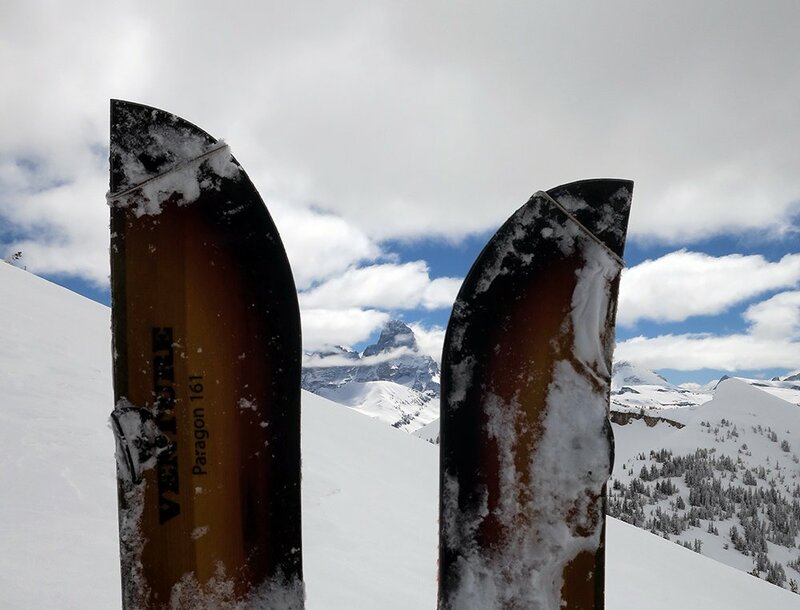 The 2018 Venture Paragon Splitboard is currently a top contender for our annual splitboard of the year award, check back later this fall to see who won. Wondering who this board was built for – light, surfy splitboarders that enjoy a mix of freestyle and powder. Or maybe thats just me, but I honestly feel this board will quickly become one of Venture’s most popular selling / sought after models. 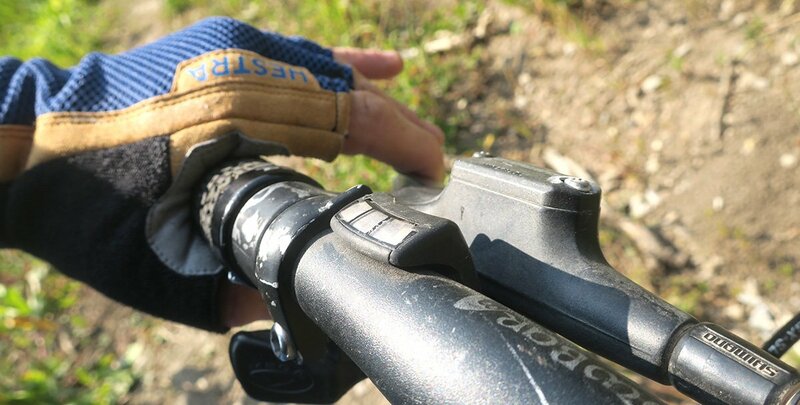 Ride in rocky terrain? Aka the rocky mountains? Rest assured this board just like all of Ventures line can take a beating. P-Tex sidewalls and base = lots and lots of durability. 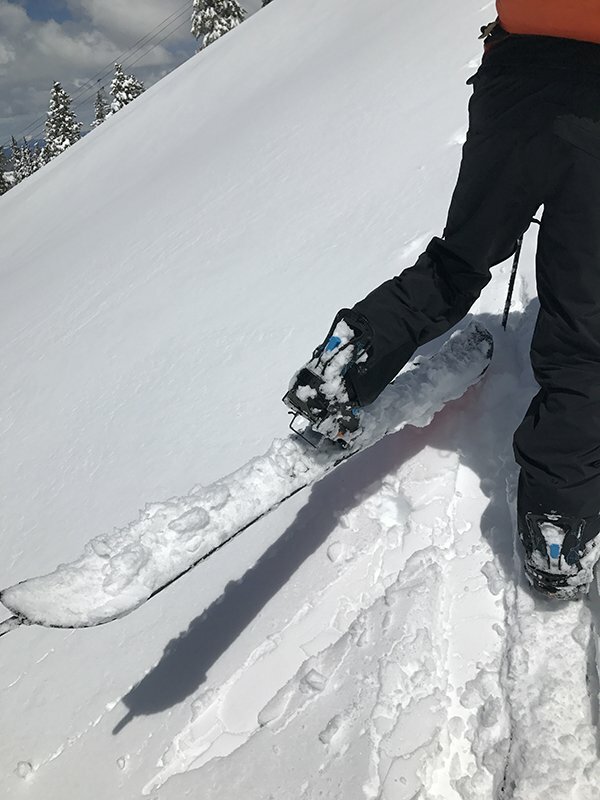 So if you’re looking for a splitboard that will actual last more than one season the Paragon should be on your radar. My advise would be to buy this splitboard early, as it’s guaranteed to sell out. 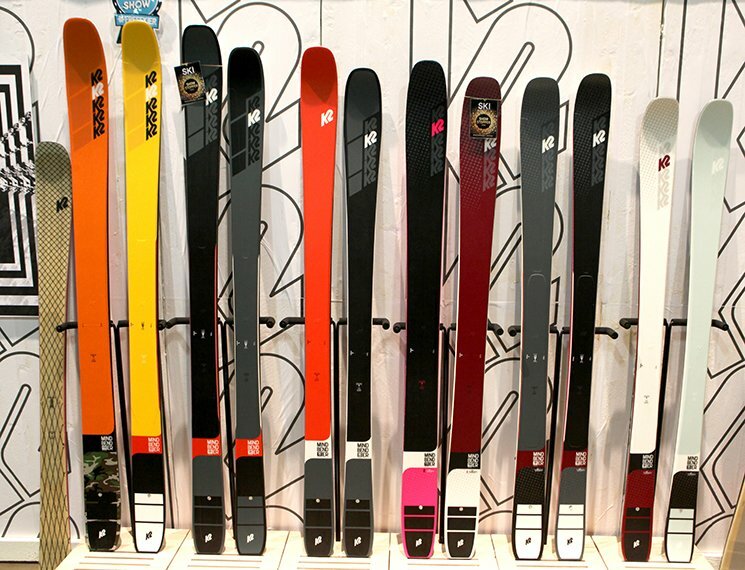 I spoke with Klem and Lisa of Venture Snowboards on the Colorado.FM podcast. Awesome people making awesome boards. Right on they are nice folks, want to give our readers a teaser of what yall talked about?